Other than Christianity, no other major world religion has a founder who claimed to be God. In our study of John, the public conflict between Jesus and His critics and enemies had been escalating for a long. In John 10:22-42 Jesus seals His death sentence by clearly declaring Himself to be God. Today, it is popular for people to claim that Jesus never declared Himself to be God, but that is the exact opposite of the truth even though it cost Him His life. Users who like John #22 - Did Jesus Say He Was God? 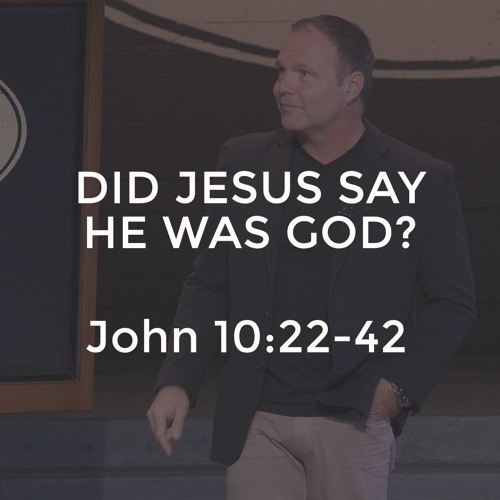 Users who reposted John #22 - Did Jesus Say He Was God? Playlists containing John #22 - Did Jesus Say He Was God? More tracks like John #22 - Did Jesus Say He Was God?